Michel Poiccard is a Marseilles based hood, who will do whatever he needs to to get what he wants. He models his behavior after the tough guy characters portrayed by Humphrey Bogart in the movies. This behavior includes stealing money and cars wherever and whenever, lying and cheating, and using woman, who allow him to since they are attracted to his charisma. Because of his criminal activities, he works under aliases, such as László Kovács. One day while he is being chased by policemen in the French countryside while he is driving a stolen vehicle, he eventually shoots one of the policemen dead. 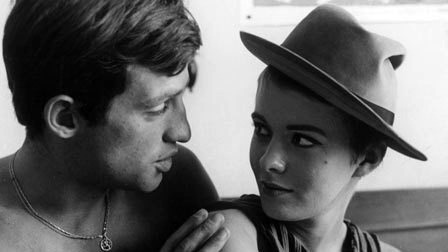 He heads to Paris to take refuge with who he considers his girlfriend, Patricia Franchini, a twenty-year old American journalism student at the Sorbonne and an aspiring reporter with the Paris based office of the New York Herald Tribune. Having only dated casually over the last month, Patricia is unaware of Michel’s criminal activities. She is concurrently dating another American journalist. 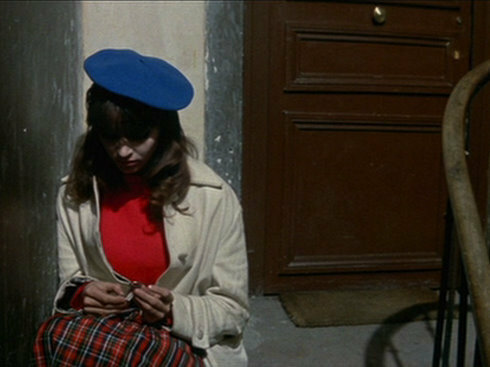 Michel, who is trying to get money owed to him from some of his associates, wants Patricia to run off with him to Rome, all the while seemingly cavalier about the fact that his name and photograph are in the local media as a cop killer. When Patricia eventually learns about Michel being wanted by the police, she has to decide where her allegiances lie.